Within the cannabis community, being listed among High Times’ 100 Most Influential People is not unlike getting onto a Forbes or Fortunelist: a rare feat reserved exclusively for the most preeminent, respected, and iconic figures in the industry. For Dan Anglin, it’s a well deserved honor and the culmination of decades advocating for much-needed policy reform. Including Mr. Anglin among the who’s who of cannabis community influencers is an easy choice, as his track record and standing are unmatched and undisputed. A U.S. Marine veteran who served in Desert Storm and Desert Shield, Dan Anglin has spent the past decade championing veterans’ access to cannabis. 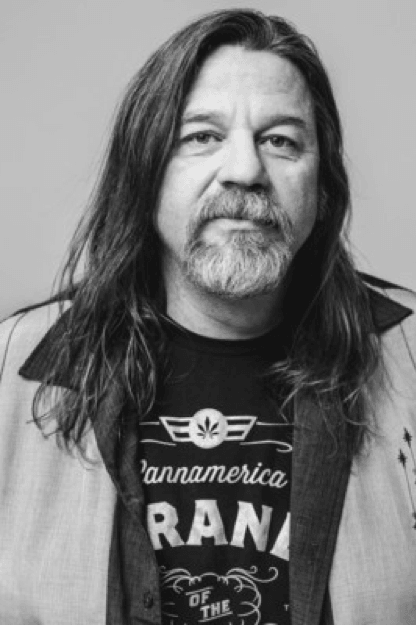 That alone would be enough to earn him a spot on the High Times 100 Most Influential People in the Cannabis Industry, but Dan’s tireless advocacy on behalf of medical cannabis patients, particularly in the state of Colorado, has earned him profound respect and regard from his peers. In 2014 Mr. Anglin founded the Colorado Cannabis Chamber of Commerce, a nonprofit organization that provides advocacy and networking opportunities for stakeholders in the cannabis industry.Moreover, Dan was a fixture at the Colorado Capitol as the state’s adult-use law, Amendment 64, was implemented. Widely regarded as an expert on policy reform, Mr. Anglin continues to serve on rule-making working groups for the Colorado Marijuana Enforcement Division. Patriot, entrepreneur, influencer – pick whichever label you’d like, but the fact is that Dan Anglin is a humble, down-to-earth man on a mission to provide access to safe, high-quality legal cannabis products. That’s exactly what Dan provides through the company he co-founded, CannAmerica Brands Corp. (CSE:CANA, OTCQB:CNNXF). With a portfolio of cannabis brands in Colorado, Nevada, and Maryland, CannAmerica has raised $5.4 million to date to acquire and grow the CannAmerica and AmeriCanna brands. CannAmerica Brands got its start as a successful gummy brand in Colorado – no surprise there, as Dan Anglin is a local hero in the Colorado cannabis community. Dan and CannAmerica sold over 14 million cannabis-infused gummies in Colorado, and have since acquired a portfolio of cannabis brands with plans for expansion to an additional eight U.S. states as well as the Canadian market. And a recent announcement is expected to solidify Dan’s and CannAmerica’s stature as cannabis market leaders: the company is embarking upon a joint venture with Invictus MD Strategies Corp. and CBDistribution Company Ltd. to acquire a hemp processing facility. This is a perfectly timed move in light of the Farm Bill’s passage in December, which legalized hemp in America on a federal level. With so much experience in the North American legalized cannabis industry, Dan Anglin’s impact on the community, commerce, and culture has been important. It’s high praise from High Times indeed – well done, fully earned, and richly deserved. Legal Notice: This communication is a paid advertisement. Wallace Hill Partners Ltd., and their owners, managers, employees, and assigns (collectively “the Publisher”) is often paid by one or more of the profiled companies or a third party to disseminate these types of communications. In this case, the Publisher has been compensated by CannAmerica Brands Corp. to conduct investor awareness advertising and marketing for a period of three year and CannAmerica Brands Corp. paid the Publisher CAD$770,970 to produce and disseminate this article and provide various other investor awareness and marketing services during this three year service period. CannAmerica Brands Corp. has paid the Publisher additional sums as compensation for other articles and marketing services. This compensation should be viewed as a major conflict with our ability to be unbiased. Readers should beware that third party, profiled companies, and/or their affiliates may liquidate shares of the profiled companies at any time, including at or near the time you receive this communication, which has the potential to hurt share prices. Frequently companies profiled in our articles experience a large increase in volume and share price during the course of investor awareness marketing, which often ends as soon as the investor awareness marketing ceases. The investor awareness marketing may be as brief as one day, after which a large decrease in volume and share price may likely occur. This communication is not, and should not be construed to be, an offer to sell or a solicitation of an offer to buy any security. Neither this communication nor the Publisher purport to provide a complete analysis of any company or its financial position. The Publisher is not, and does not purport to be, a broker-dealer or registered investment adviser. This communication is not, and should not be construed to be, personalized investment advice directed to or appropriate for any particular investor. Any investment should be made only after consulting a professional investment advisor and only after reviewing the financial statements and other pertinent corporate information about the company. Further, readers are advised to read and carefully consider the Risk Factors identified and discussed in the advertised company’s public disclosure and other government filings. Investing in securities, particularly microcap securities, is speculative and carries a high degree of risk. Past performance does not guarantee future results. This communication is based on information generally available to the public and on an interview conducted with the company’s CEO, and does not contain any material, non-public information. The information on which it is based is believed to be reliable. Nevertheless, the Publisher cannot guarantee the accuracy or completeness of the information. FORWARD-LOOKING STATEMENT. This communication includes certain statements and information that may constitute forward-looking information within the meaning of applicable Canadian securities laws or forward-looking statements within the meaning of the United States Private Securities Litigation Reform Act of 1995. All statements in this news release, other than statements of historical facts, including statements regarding future estimates, plans, objectives, timing, assumptions or expectations of future performance, including that CannAmerica is expected to expand into an additional 8 US states; the announcement of the Joint Venture agreement is expected to solidify Dan Anglin and CannAmerica’s stature as a cannabis market leader; and the Joint Venture is anticipated to accelerate CannAmerica’s planned growth into the hemp-based CBD market. Generally, forward-looking statements and information can be identified by the use of forward-looking terminology such as “intends” or “anticipates”, or variations of such words and phrases or statements that certain actions, events or results “may”, “could”, “should”, “would” or “occur”. Forward-looking statements are based on certain material assumptions and analysis made by the Company and the opinions and estimates of management as of the date of this newsletter, including that CannAmerica will be successful in expanding into an additional 8 US states; the announcement of the Joint Venture agreement will solidify Dan Anglin and CannAmerica’s stature as a cannabis market leader; and the Joint Venture will accelerate CannAmerica’s planned growth into the hemp-based CBD market. These forward-looking statements are subject to known and unknown risks, uncertainties and other factors that may cause the actual results, level of activity, performance or achievements of the Company to be materially different from those expressed or implied by such forward-looking statements or forward-looking information. Important factors that may cause actual results to vary, include, without limitation, that CannAmerica will not be successful in expanding into an additional 8 US states; the announcement of the Joint Venture agreement will not solidify Dan Anglin and CannAmerica’s stature as a cannabis market leader; and the Joint Venture will not accelerate CannAmerica’s planned growth into the hemp-based CBD market. Although management of the Company has attempted to identify important factors that could cause actual results to differ materially from those contained in forward-looking statements or forward-looking information, there may be other factors that cause results not to be as anticipated, estimated or intended. There can be no assurance that such statements will prove to be accurate, as actual results and future events could differ materially from those anticipated in such statements. Accordingly, readers should not place undue reliance on forward-looking statements and forward-looking information. Readers are cautioned that reliance on such information may not be appropriate for other purposes. The Company does not undertake to update any forward-looking statement, forward-looking information or financial out-look that are incorporated by reference herein, except in accordance with applicable securities laws. We seek safe harbor.